Prince Raj wants to make Shirayuki his concubine because of her red hair, so she leaves her home in Tanbarun and ends up with a fateful encounter. 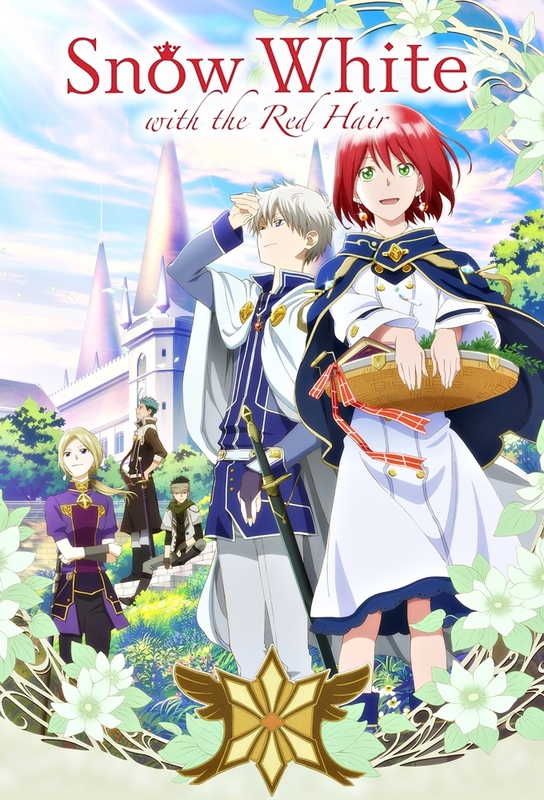 Shirayuki goes to a mountain in search of medicinal herbs and has a run-in with a dangerous stranger. Will she be able to escape his clutches? As Shirayuki continues her studies, Zen overworks himself and discovers that not everyone approves of his relationship with Shirayuki. Its time for the exam to become an apprentice court herbalist. Will Shirayuki finally be able to enter the castle in her own right? The soldiers at Fort Laxdo have come down with a strange illness, and Shirayuki helps Zen and the others find the cause. Zens older brother Izana is back at the castle, and he summons Shirayuki. What does Izana want with her? Zen tells Shirayuki a story from his past about Izana as Shirayuki deals with having the eyes of the court on her. Zen assigns Obi to be Shirayukis bodyguard and thinks back to when Mitsuhide first came to be his attendant. While at work in the castle, Shirayuki makes friends with a girl named Kiharu and her bird Popo. Can Shirayuki help save Popos family? After Zen and Shirayukis encounter at the watchtower, Shirayuki discovers feelings that she didnt know she had. Its Open Castle Day, when the public is allowed into a corner of the castle, and Shirayuki and the others join in the festivities. Shirayukis busy cleaning up the medical wing when Mihaya pays a visit to the castle, and she gets an unexpected invitation from Tanbarun. The two princes daring plan to rescue Shirayuki and Kazuki is put into motion, requiring brains, brawn, and not a little derring-do. Sakaki visits Shirayuki on behalf of Prince Raj to inform her that she now dons the official title of friend of the crown of Tanbarun. Zen and Shirayuki share their feelings with one another.